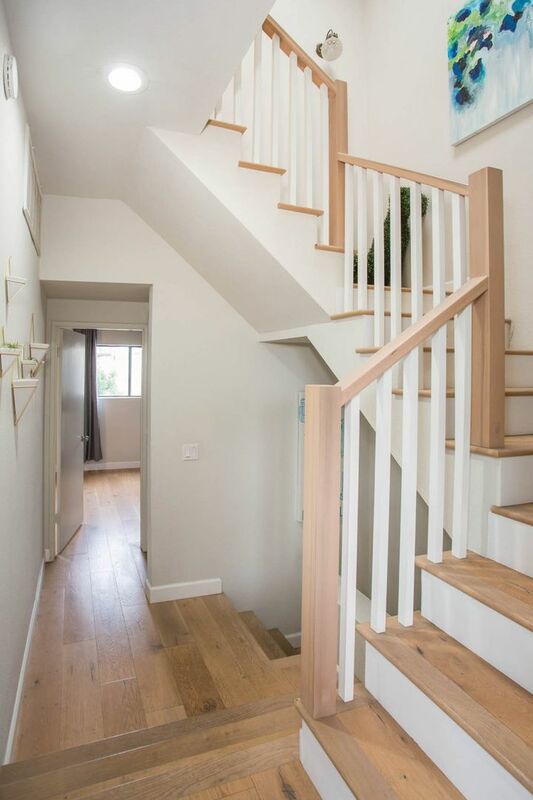 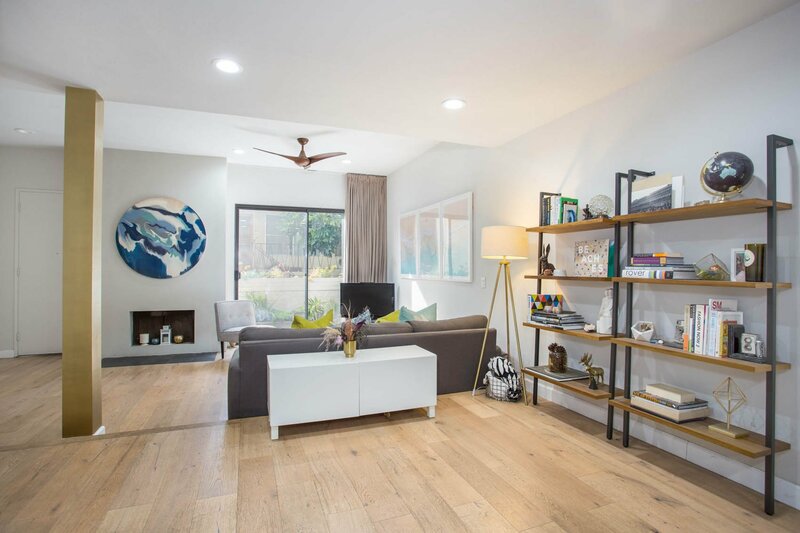 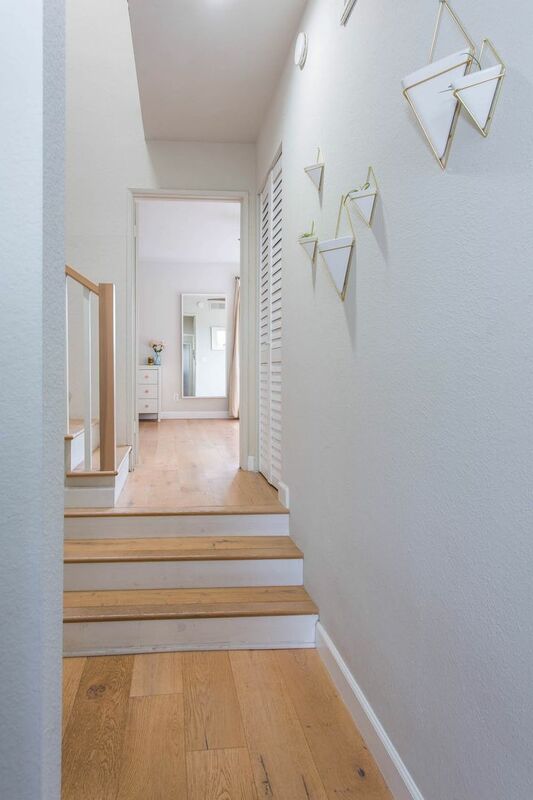 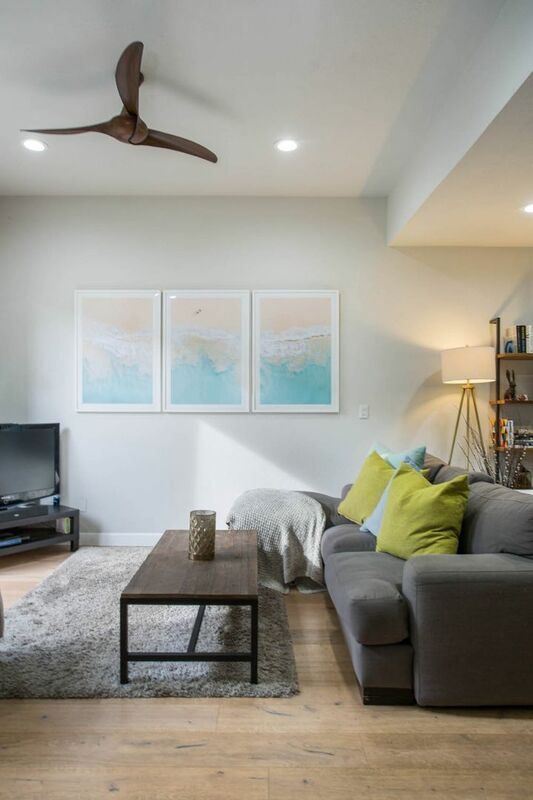 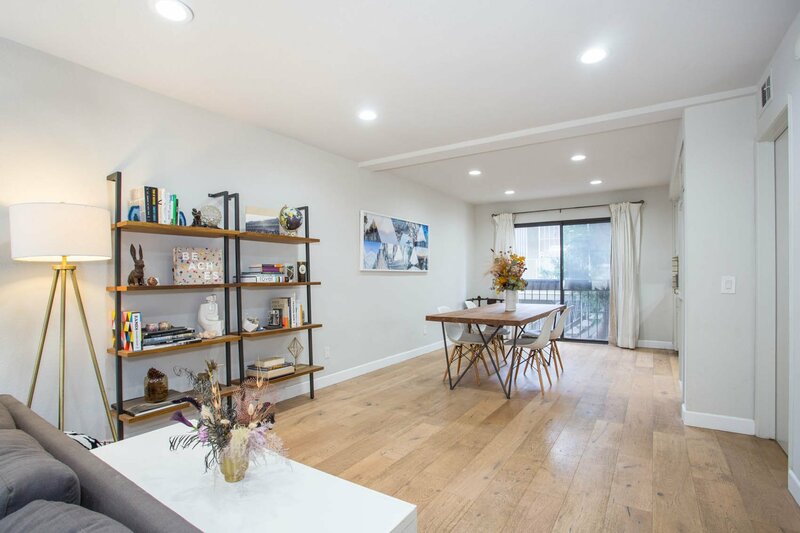 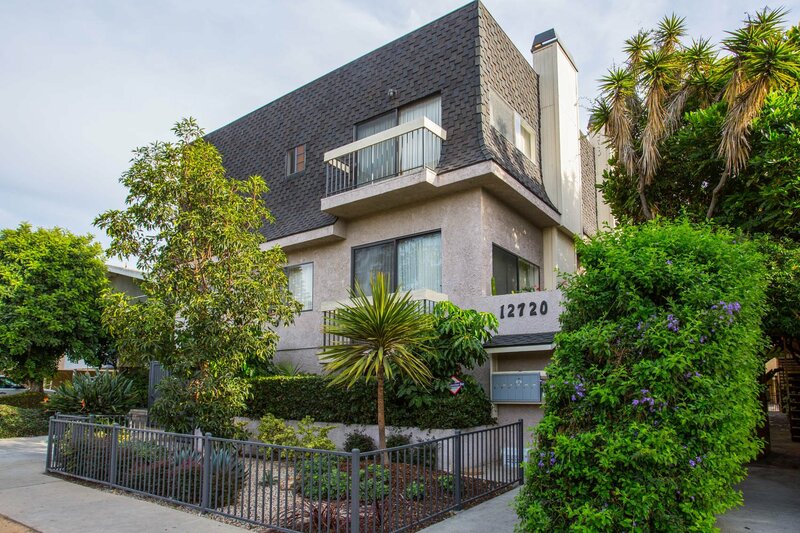 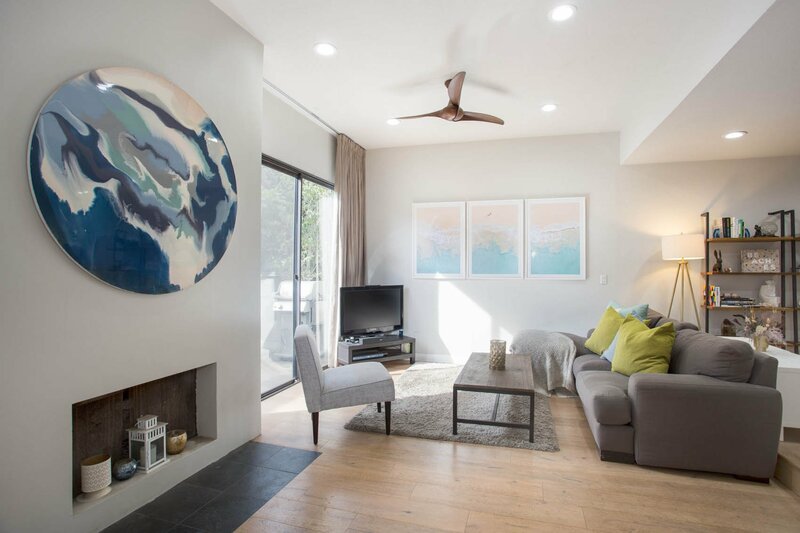 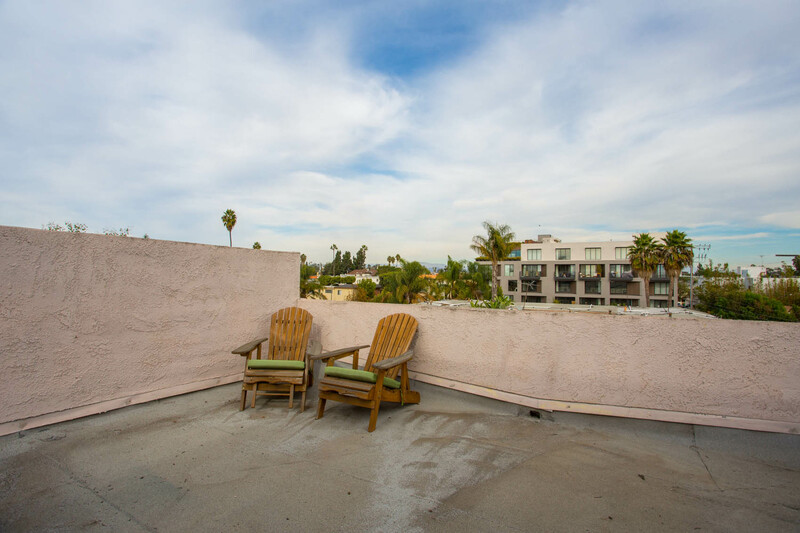 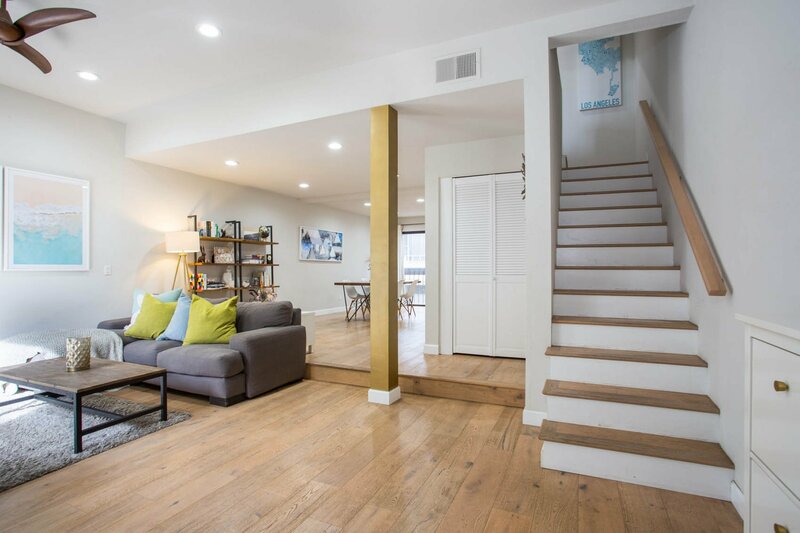 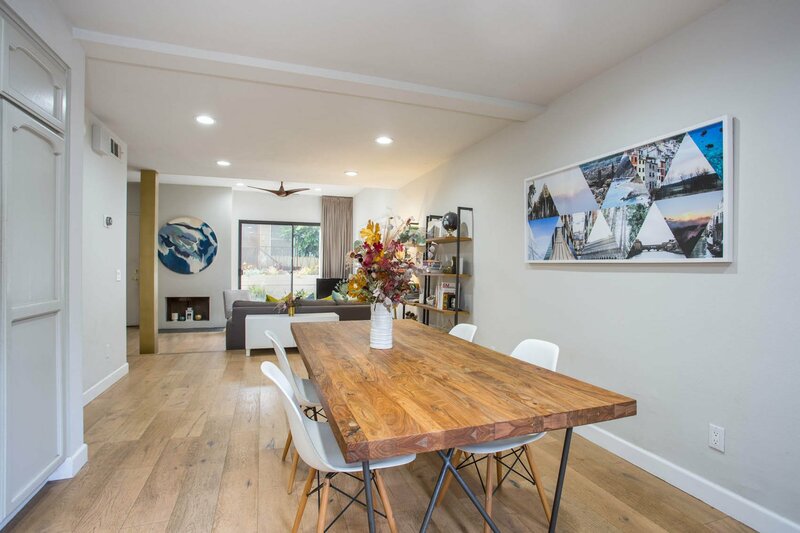 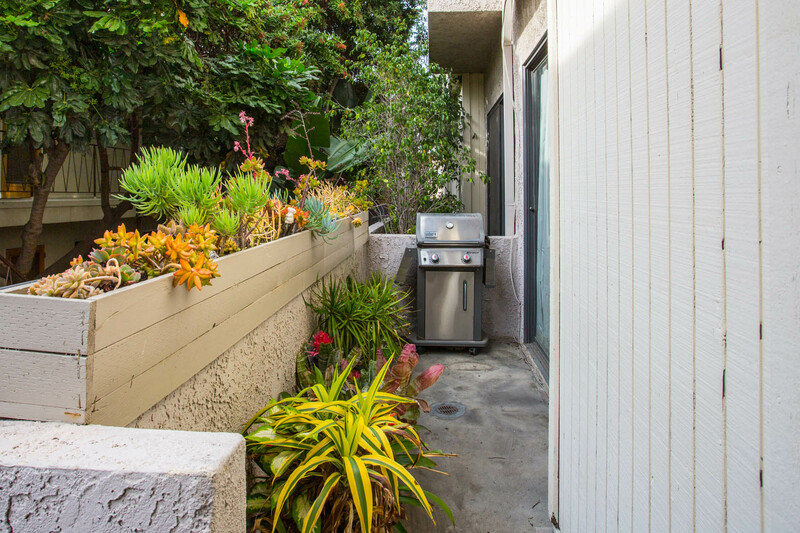 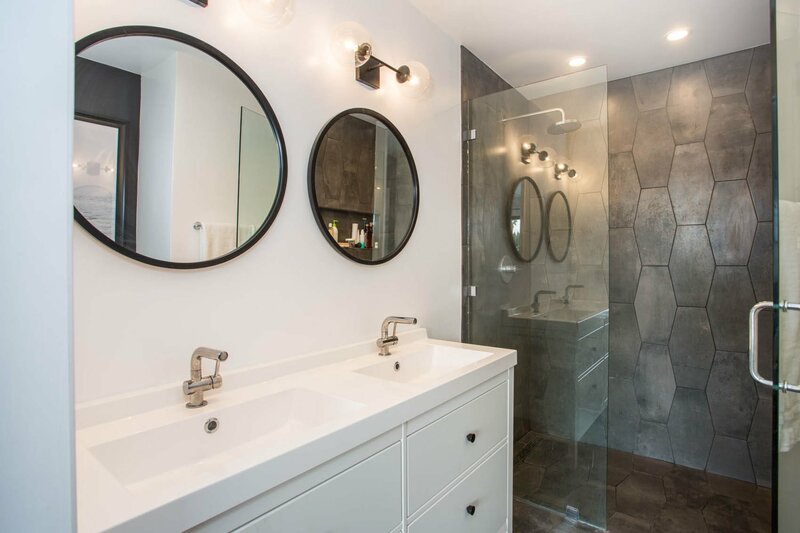 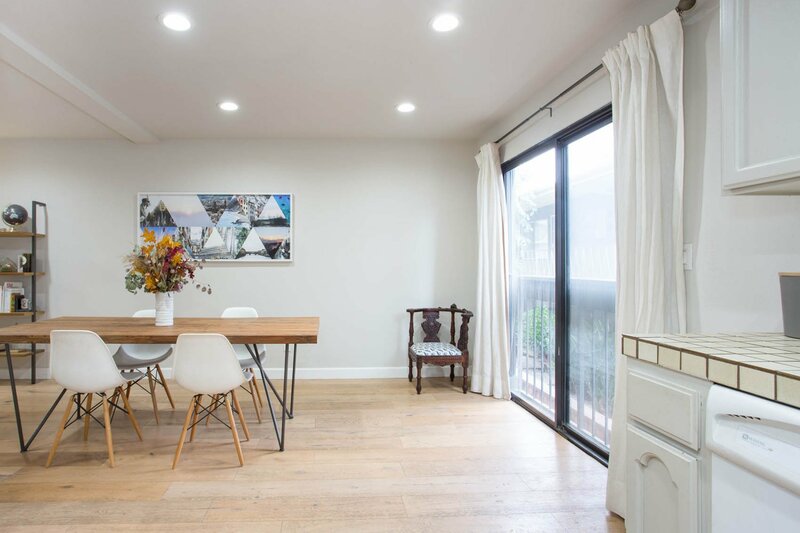 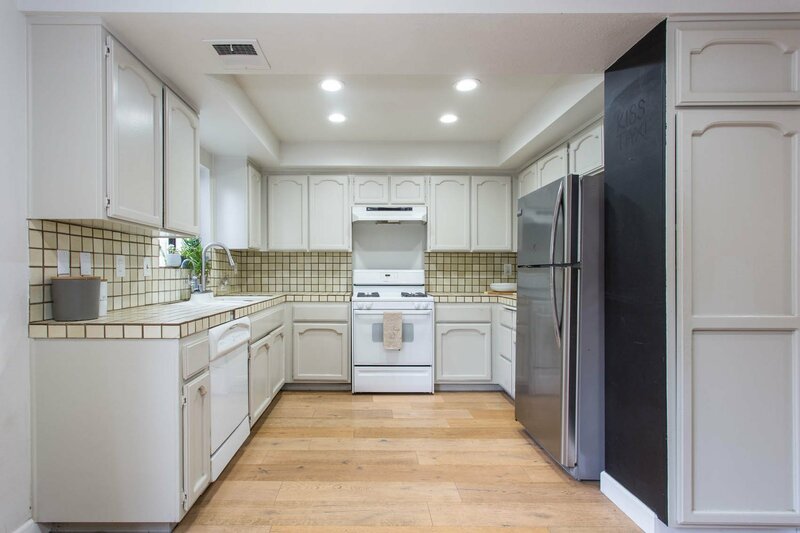 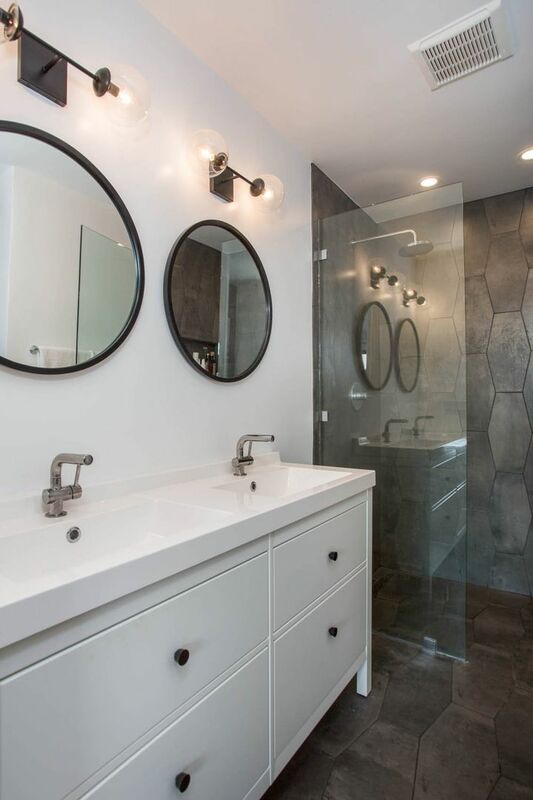 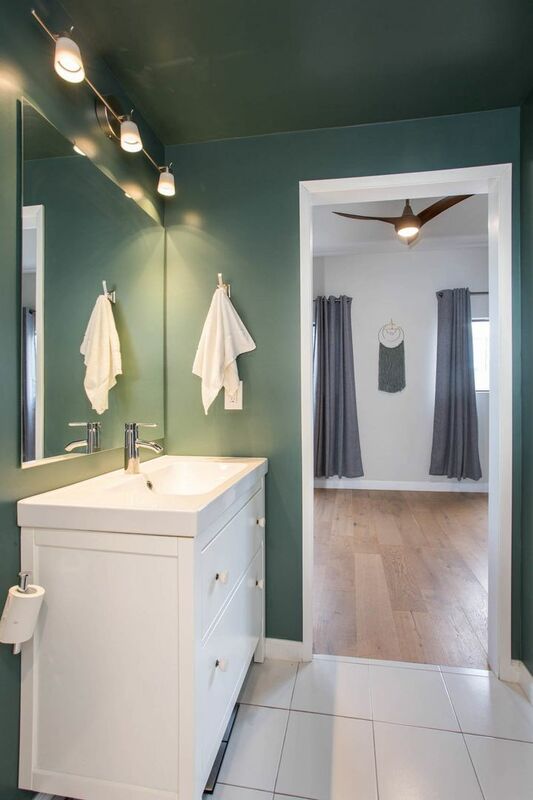 Zen vibes wash over you the moment you walk into this stylish, beach-chc, Mar Vista townhouse. 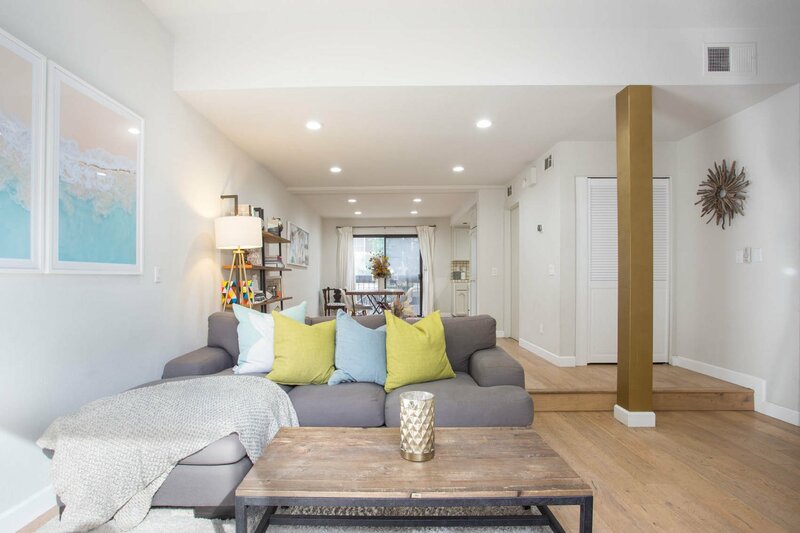 The living areas are open, spacious and bright enhanced by wide plank hardwood floors throughout, custom crafted window treatments and clean, crisp recessed lighting. 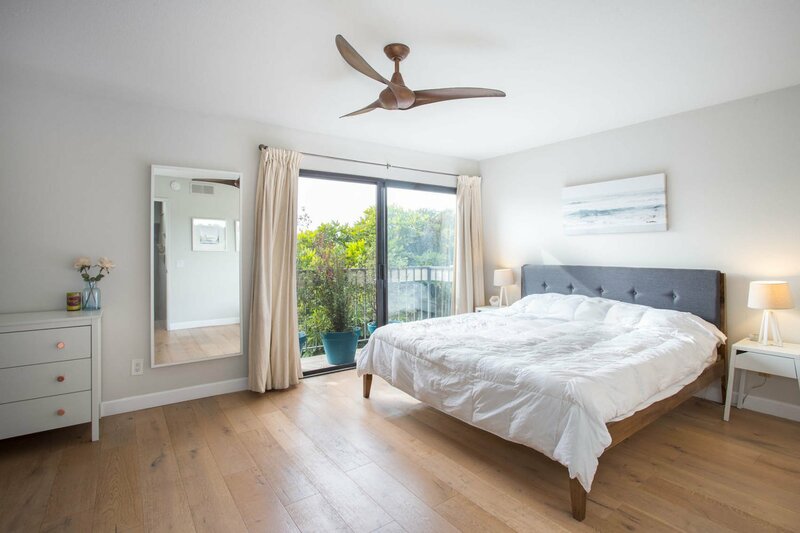 The two generously-sized bedrooms have ample closet space, beautiful natural light and the master looks out onto lush tree-top views. 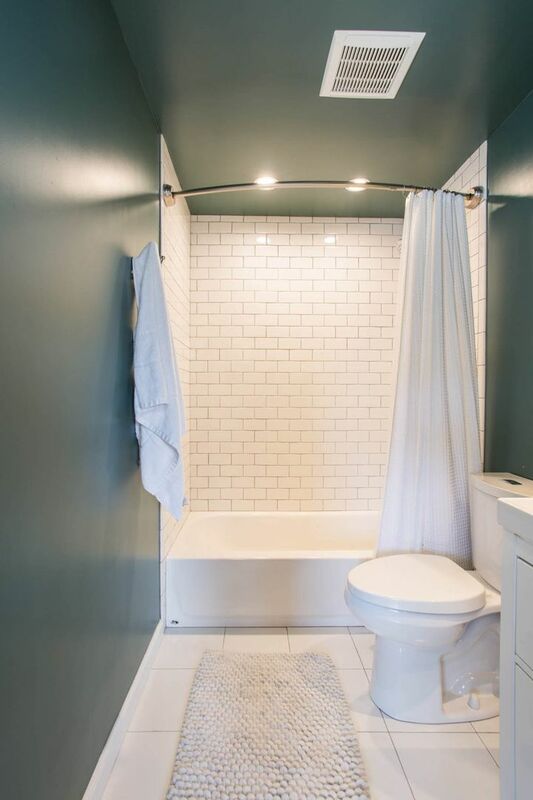 All bathrooms are tastefully updated, washer and dryer are inside the unit and there is a rooftop deck from which to enjoy the ocean breezes. 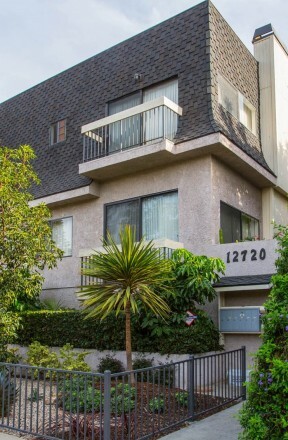 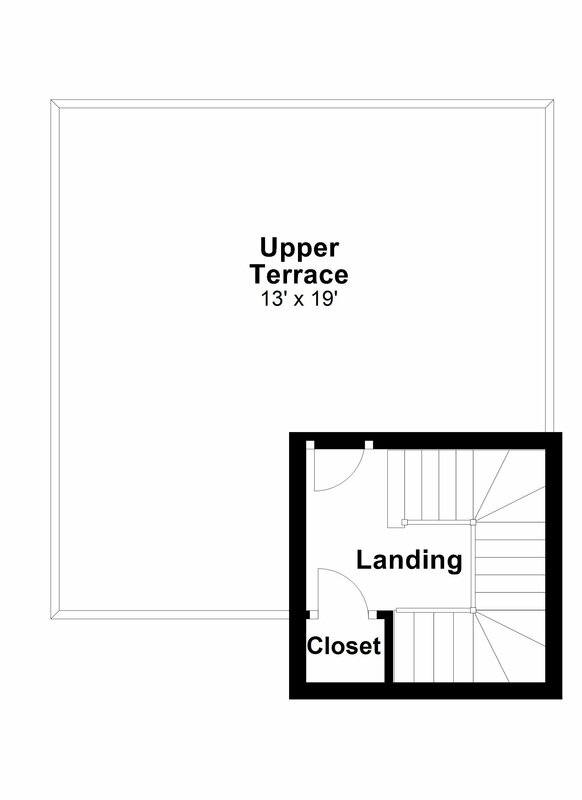 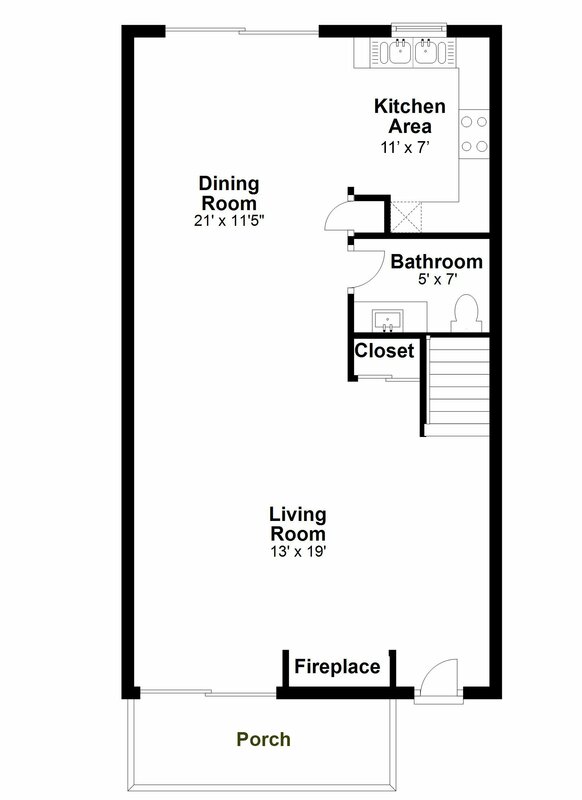 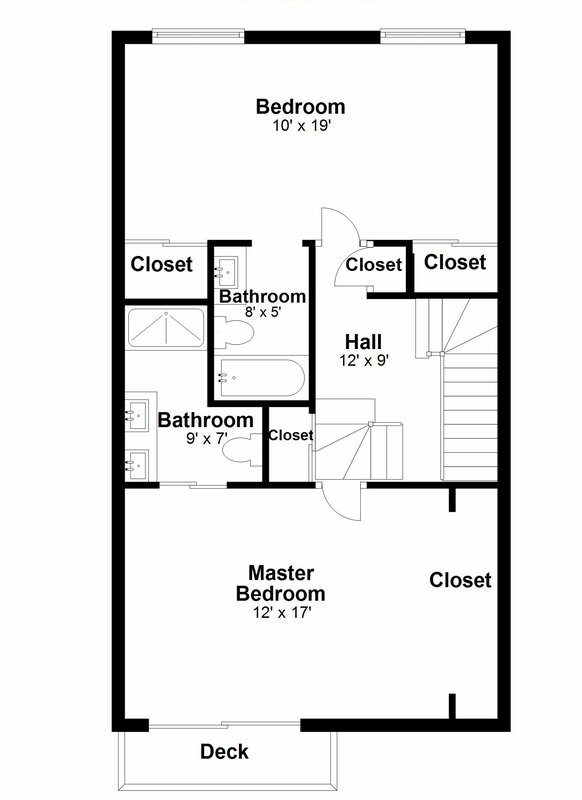 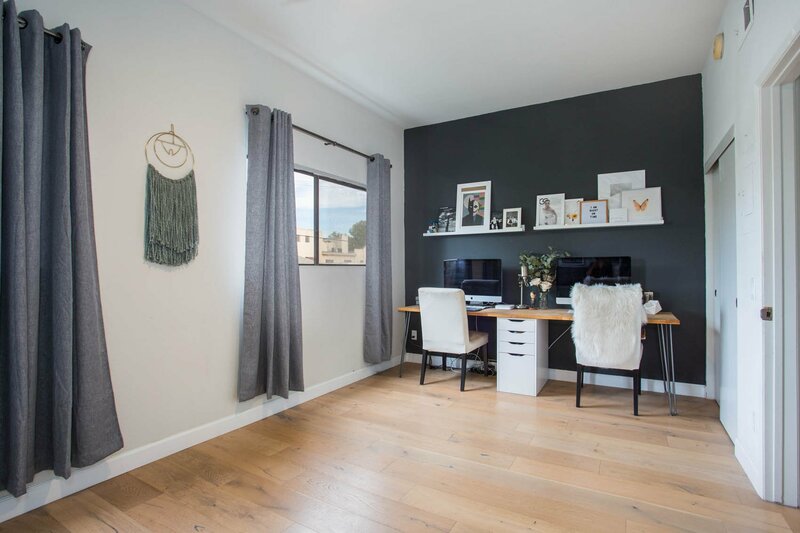 The unit has a unique, private storage room of its own in the garage and the building has EQ insurance included in the dues. 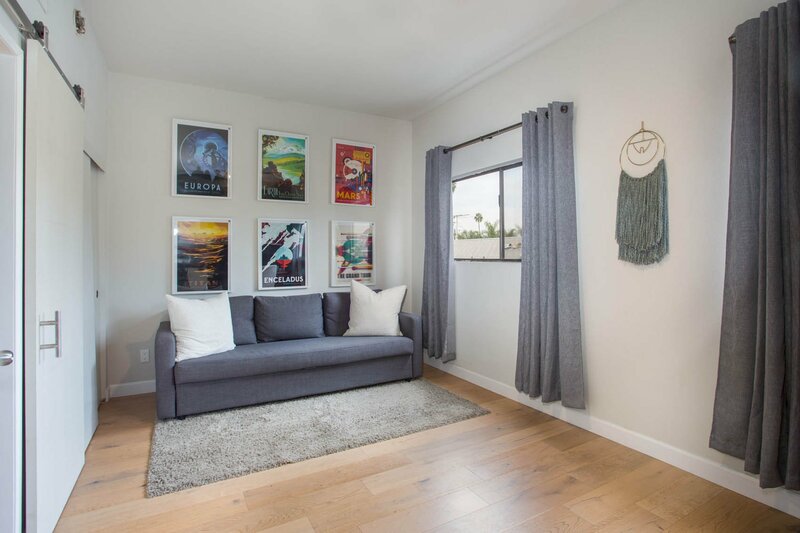 A lovely place to call home.